On Sunday 8th July Ledbury will be celebrating in the street! Music, performers, local food and drink suppliers and other local businesses will join the Festival to celebrate all that is good about Ledbury. 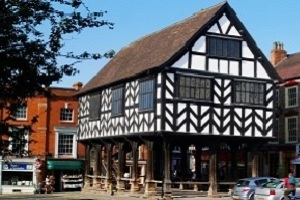 It all takes place in the High Street next to the famous Market House, symbol of Ledbury. We’ll fill out the details later as things firm up but here’s an outline. Poetry, music, entertainment and the best local food and drink! Rob Barratt, Hip Hop Shakespeare with Kurly McGeachie, Nico Reznick, the dulcet tones of Ludlow Jazz Collective, SassCapella, LADS. Over 30 food and drink stalls organised by Ledbury Food Group. Ledbury Fringe buskers and Ledbury Town Council’s celebration cake!